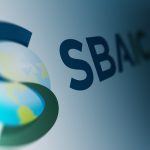 SBAIC is accepting calls for nomination for Treasurer from member companies. The Treasurer position is an executive officer position and includes a three year-term on the SBAIC Board from 2019 to 2022. Role of the Treasurer: The Treasurer is to manage SBAIC’s financial operations including managing SBAIC bank account, making payments, invoicing and tracking dues collection, preparing financial statements and overseeing tax filings. Previous SBAIC Membership Meeting: Tuesday, February 5th, at 10:00AM.